Clth, 6.25 x 9.75 in. / 185 pgs / 63 color / 48 bw. Dayanita Singh’s House of Love is a work of photographic fiction that takes the form of 13 short stories. 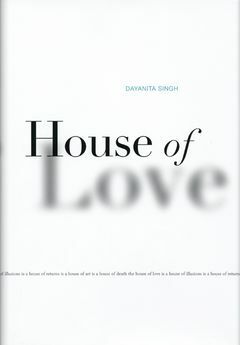 The “House of Love” itself is the Taj Mahal, but the Taj Mahal as a recurring motif that stands for a range of meanings--meanings made up of the truths and lies of night and day, love and illusion, attachment and detachment, humor and treachery, friendship and desolation. Through images of cities both visible and invisible, people real and surreal, Singh creates her own mysterious and ineffable, strange yet familiar language, using her trademark black-and-white photography and her newer investigations of nocturnal color. 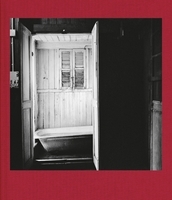 Working closely with writer Aveek Sen, whose prose pursues its own parallel journey, Singh explores the relationship between photography and writing. House of Love is a book whose images demand to be read, not just seen, and whose texts likewise create their own sensory worlds. FORMAT: Clth, 6.25 x 9.75 in. / 185 pgs / 63 color / 48 b&w.